Definitely at the Sun Hotel Apartment we had the best ever host. They warmly welcomed us with coffee and piece of home made cake, which was delicious. During our stay they were very open to help with anything, served us super tasty and free breakfasts and were just super nice with us. 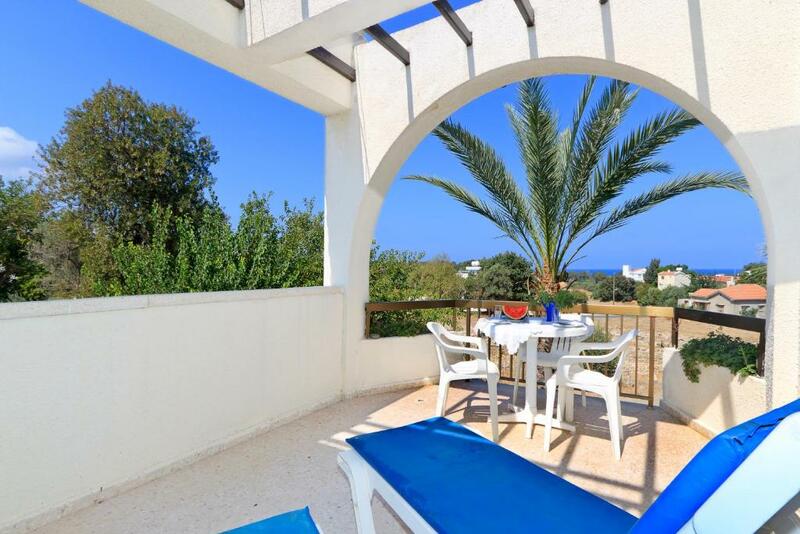 When I come back in Cyprus I definitely choose Polis and the Sun Hotel Apartment. Thanks a lot to hosts for simply being such cute and lovely people. Christina Was excellent with all aspectsoff Hotel Service, Food was Excellent, Brilliant Family Run Business. The breakfast was excellent especially eating in the garden. Location was perfect with 5min walk to Polis Square and restaurants. Four poster bed extremely comfortable. Couple who ran it very friendly and helpful. - The price was unbelievably good. This is in my top 3 all time 'best value for money' accomodations I've ever stayed in. 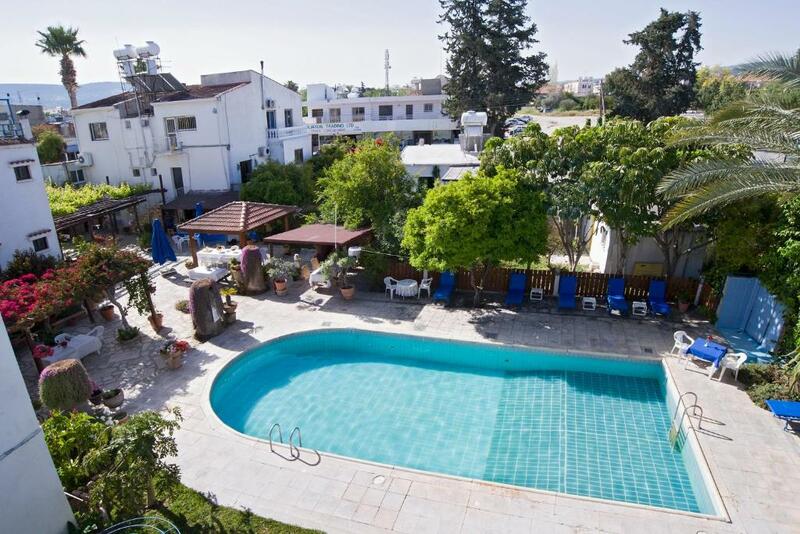 - No charge for aircon (some of the other local places in Paphos and Polis charge you a large sum per WEEK even if you stay for a day) - Super friendly owners - Great breakfast - Amazing acrobatic cats that climb around the garden wooden frames. - Nice garden - Incredibly big room/kitchen/apartment for the money. - They even gave me a bag of mixed fresh fruit from the garden to take away when I left. - Water pressure/temperature in shower fine. - Kitchen equipment fine. Friendly staff and great breakfasts. The room was clean and large, the shower was hot and the balcony was great! The breakfast was superb much better than other more expensive accomodations'. Friendly hosts. Nice pool and garden. See view balcony. Location in relation with our bike tour was excellent/ Breakfast was homemade prepared by the owners. Lovely people welcoming us and all friends have enjoyed our stay there. 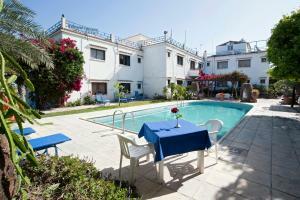 The complex is a humble accommodation which was just what we were looking for. Lovely lady who runs the place. Very central to village amenities. A family-run place with very friendly owners living in the neighbouring house. Abundant English breakfast, with freshly squeezed orange juice. 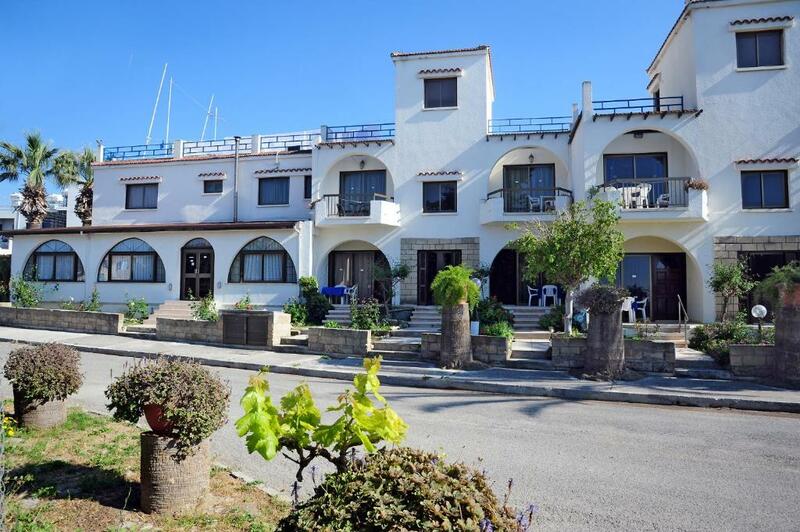 Good location short walking distance to restaurants and shops in Polis, convenient for exploring the western part of Cyprus by car. 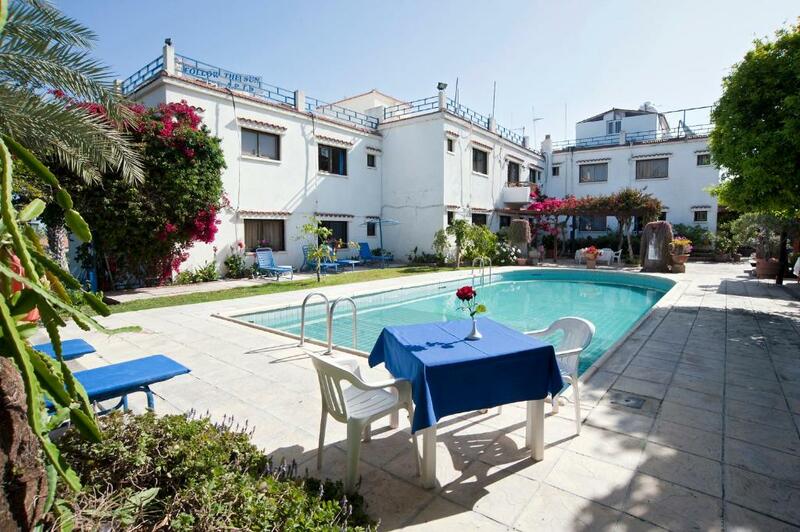 Lock in a great price for Follow The Sun Hotel Apartments – rated 8.3 by recent guests! 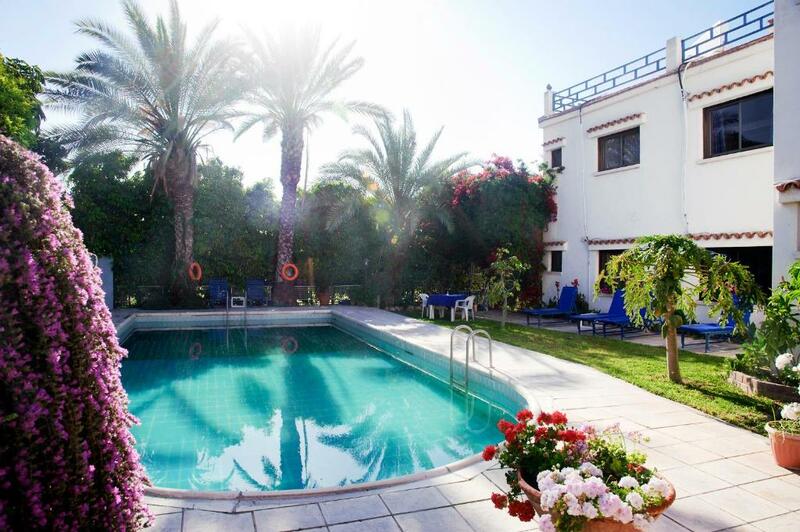 Just 2,650 feet from the beach, the family-run Follow the Sun Hotel Apartments is located in Polis Town. It features an outdoor pool with sun beds, pool bar and self-catered accommodations with garden views. Each morning a Continental breakfast is served in the garden area which is surrounded by trees and colorful flowers. Refreshing drinks are provided by the pool bar, as well as light meals by the indoor snack bar. Various cafés, taverns and shops are all within a 3-minute walk. 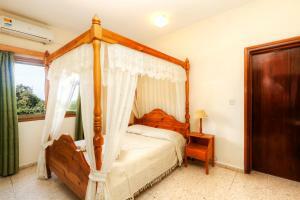 It is 5 mi from Baths of Aphrodite and Akamas National Park. Latchi Village is at a distance of 1.2 mi. When would you like to stay at Follow The Sun Hotel Apartments? Spacious studio offers garden views from its balcony. 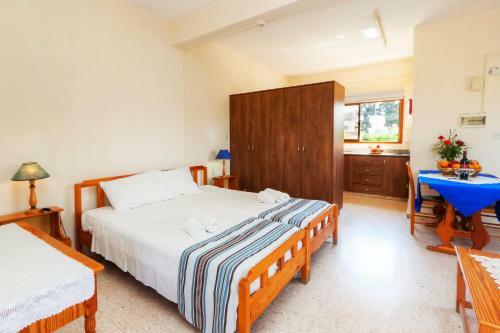 It includes a kitchenette with a toaster, fridge, electric kettle and cooking hobs for the preparation of meals. A satellite TV, seating area and private bathroom are also provided. Air conditioning is available upon request with surcharge. Spacious apartment offers garden views from its balcony. It includes a kitchenette with a toaster, fridge, electric kettle and cooking hobs for the preparation of meals. A satellite TV, seating area and private bathroom are also provided. House Rules Follow The Sun Hotel Apartments takes special requests – add in the next step! Follow The Sun Hotel Apartments accepts these cards and reserves the right to temporarily hold an amount prior to arrival. Please inform Follow The Sun Hotel Apartments of your expected arrival time in advance. You can use the Special Requests box when booking, or contact the property directly using the contact details in your confirmation. Remember we visited out of normal season but the apartments looked very tired. A bit underwhelming and lacking warmth. No proper heating, location facilities poor not alot open and nothing to do. Quite chilly in the living area as there is no air conditioning there. Bedroom was ok. No brochures or information about the place, area, internet etc. Very nice owners. Gave use home cooked baked pastries and coffee. Central area in Polis. Lovely four poster bed. Nice location, amazing views good breakfast. Thank you. The room was good. The breakfast was excellent. The owner was very friendly and helpful. The room was good value for money. The breakfast was excellent and well worth €5. The owner was very friendly and made us feel very welcome. The only thing we critizise is the saggy matress...a bit uncomfortable. We had Great a time in Polis and in the accomodation. Christina Is a wonderful host, the Garden Is beautiful and the Breakfast is great., especially the fresh fruits from the Garden. The Apartement Is sincere , But very cosy. You find everything what You Need.